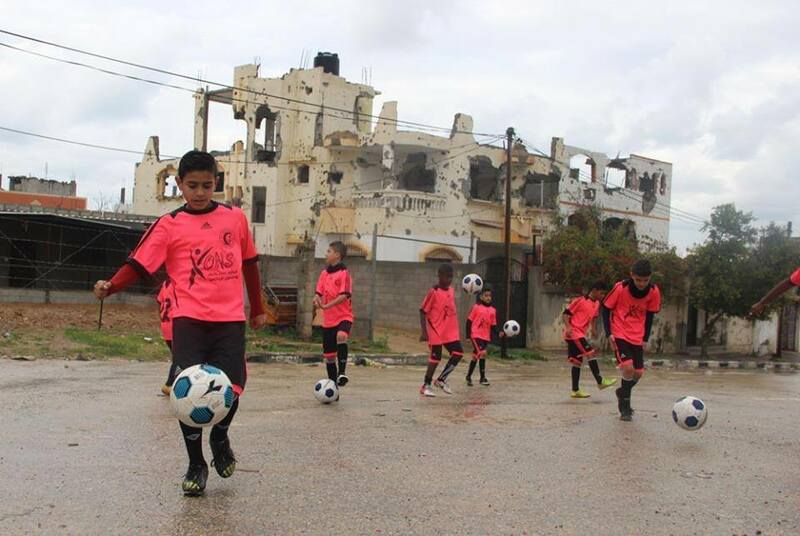 In a historic event at the weekend – the group of children from Gaza, a conflict zone which endured the killings of 556 children out of 2,314 deaths in total in 2014 – thoughts of war were a distant memory thousands of miles away. 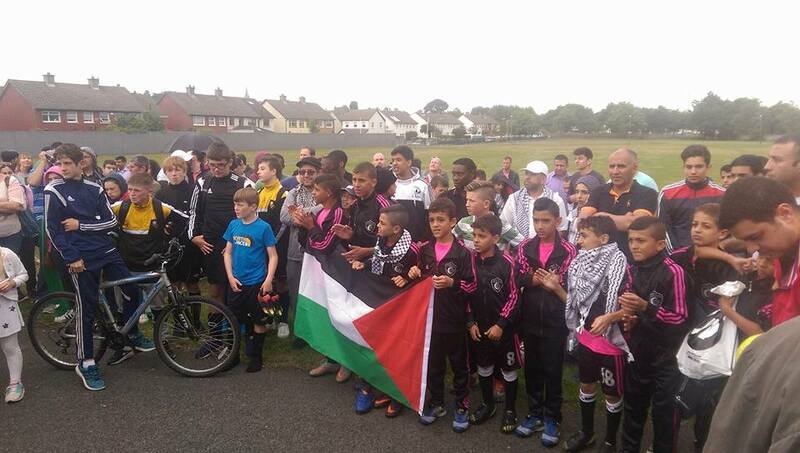 But home was close in sight as local people in Ballybrack, Co Dublin, hoisted Palestinian flags on street posts to welcome the children of the Al Helal Football Club as they lined out against Ballybrack FC. “This was a historic, amazing day for Ireland,” Ms Waters said. “All that mattered was the beautiful game. 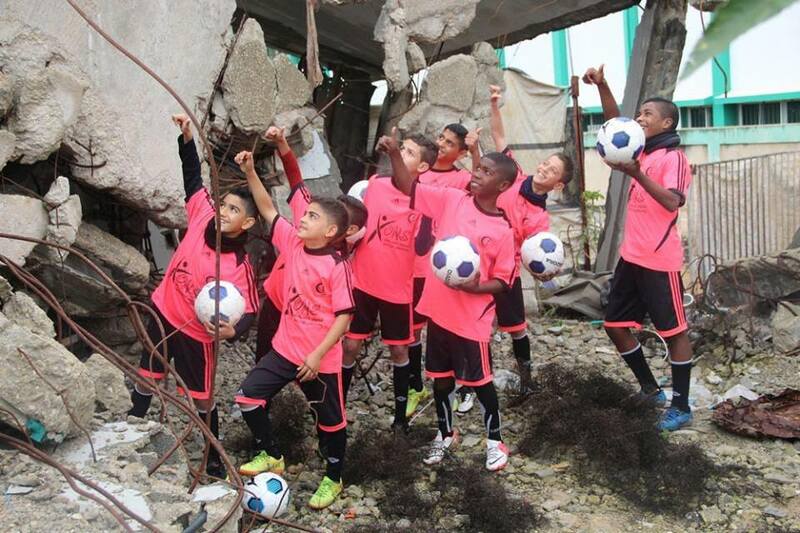 “The children from Gaza were fantastic footballers. They are tiny but brilliant players – and their goalkeeper was fabulous. They ran rings round our kids. Despite the fanfare of the occasion – and the fact it seemed most of Ballybrack had turned out to watch the children from two different worlds play a game of football – there was a serious undertone to the event. The children arrived in Dublin for a 10-day tour, on Friday, around two weeks after the Israeli authorities initially failed to grant them permits to travel. Organisers from the Gaza Action Ireland group said they had carried out “diplomatic talks” with the Israelis to allow the children, who come from a homeland where travel is restricted, to journey to Ireland. But sadly, one child, Karam Zadan, 14, injured in a shell blast, was left behind – a fact that is clearly not far away from the thoughts of Al Helal as they video moments from their trip for their friend. He was the only child not issued a permit by the Israelis in the end. Zoe Lawler from GAI said: “Imagine to leave one child out of 15 behind. Karam is a child who’s been injured in an attack and he has shell injuries. 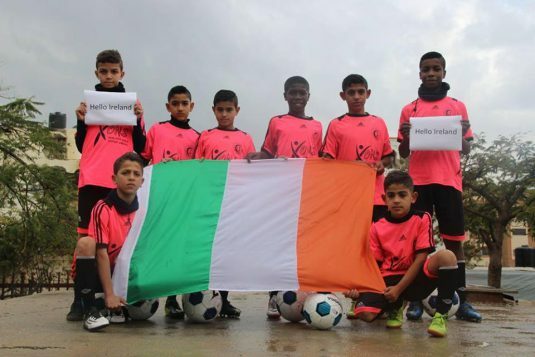 As they beat the Ballybrack side, the children from Al Helal, ran to a group of Palestinian supporters who had come to see them play. These were people who had escaped their homeland to Dublin – after suffering years of war. “I hate to imagine it, to even talk about it – but the fact is, I have to ask will these kids grow up? Will they make it?,” Zoe said. 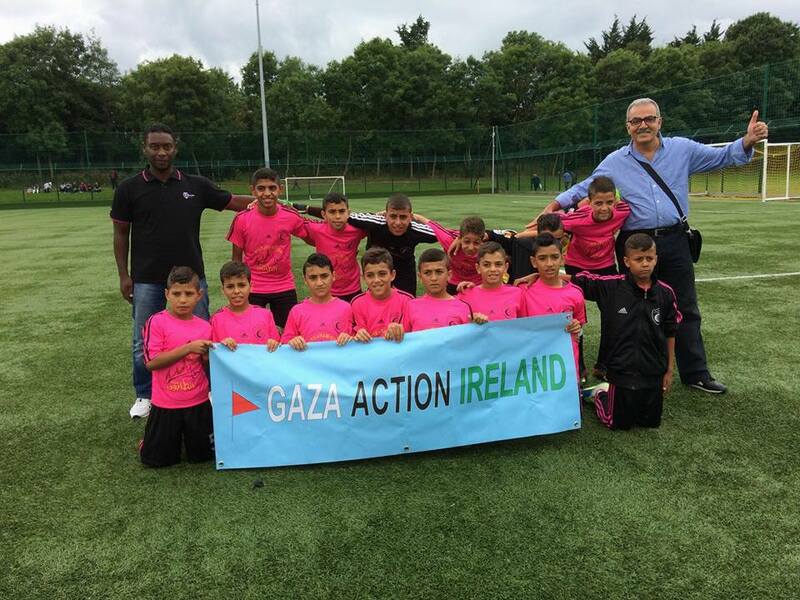 “The event was joyous – a lot of people from Dublin who had no idea about the political problems out in Gaza – of the war, came out just to see the children. A cross-political representation, including Labour, People Before Profit, Fianna Fail, turned up to watch the match in a show of support for the children. The UN issued a report two years ago stating that Gaza would be a place that is not habitable by 2020. Up to 98 per cent of water is undrinkable, rocket attacks are a constant threat and residents cannot travel freely while 50 per cent of the population are under 18. 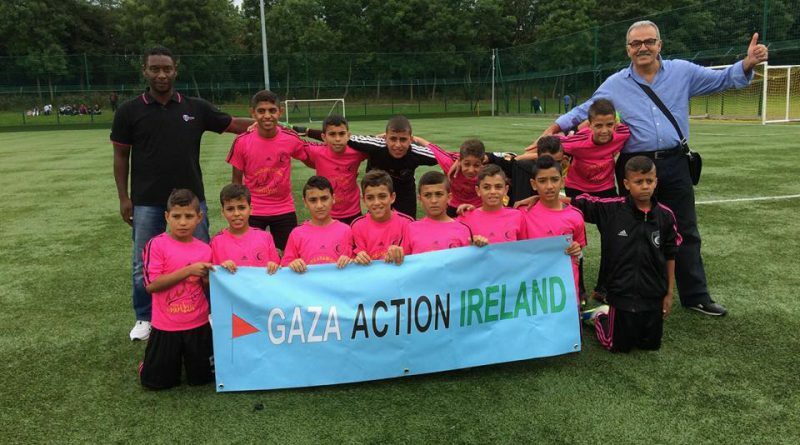 People Before Profit TD Richard Boyd Barrett said: “It was a really amazing event – brilliant for the kids of Gaza to get away for a short period after great effort against the resistance of the Israelis. The children are now set to travel to Wexford, Limerick and Galway, among other places, before their trip ends after 10 days.